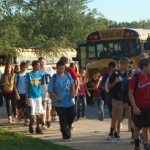 Monday, August 29, 2011 marks the beginning of the 2011-2012 school year at Penn Manor. 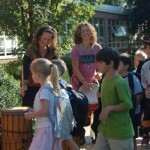 Approximately 5300 students are enrolled in kindergarten to 12th grade. 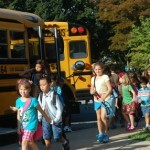 Students will be have a four-day weekend to start the school year. School is closed Friday, September 2 and Monday, September 5 for the Labor Day holiday. On Thursday evening, September 1, the fall high school sports teams, cheerleaders and marching band will be introduced at Comet Field during the Kick-Off Classic which begins at 5 PM. Friday evening, September 2, is the first home high school football game against Solanco. The start time has been changed to 8:00 p.m.